CEO Mark Fraser wins award for exceptional achievement! 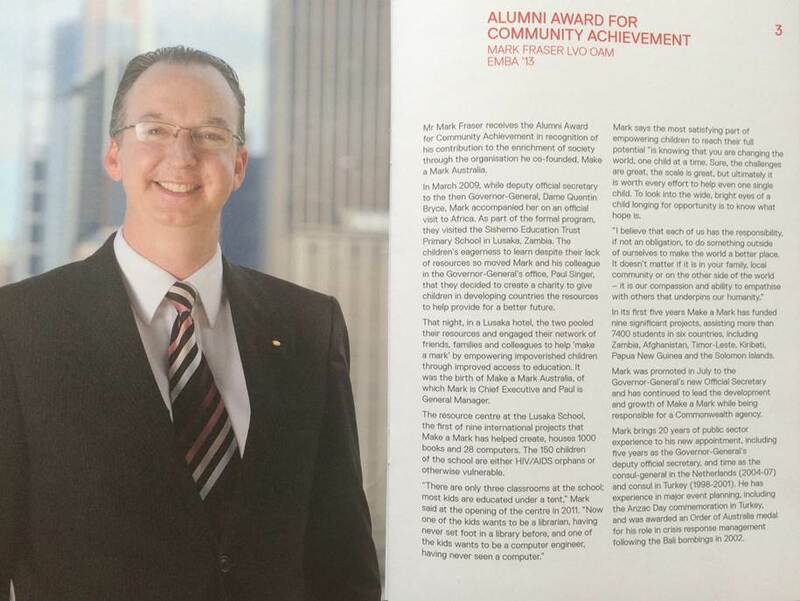 The CEO of Make A Mark Australia, Mark Fraser, has been awarded the University of Sydney Alumni Award for Community Achievement. In a strong field of impressive candidates, each making their own exceptional contribution to the community sector, Mark received the award in recognition of ‘his contribution to the enrichment of society through the organisation he co-founded, Make A Mark Australia’. In its first five years, MAMA has funded nine significant projects, assisting more than 7,400 students in six countries including Zambia, Afghanistan, Timor-Leste, Kiribati, Papua New Guinea and Solomon Islands. 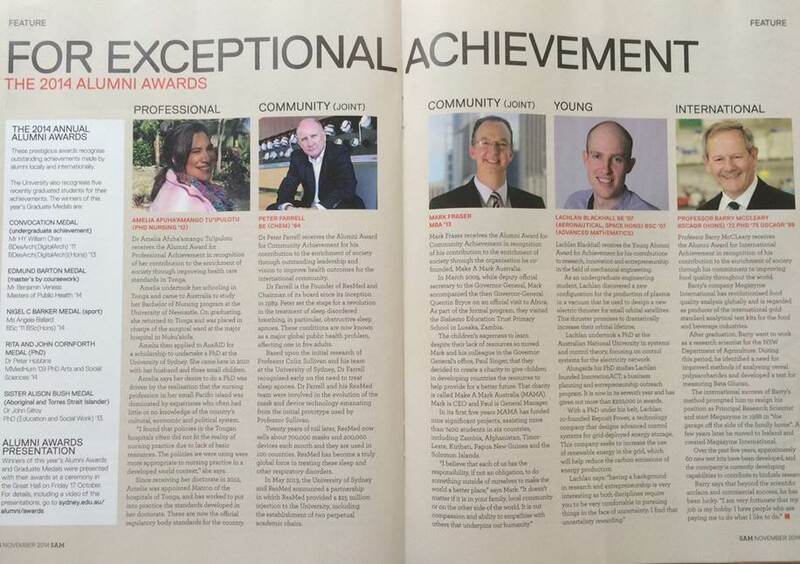 The University of Sydney Alumni Magazine ‘SAM’, November 2014, page 26.